Customers satisfaction, quality, flexibility and a continuously improvement are the essential components of our management policy. They are guidelines and conditions for all our activities and our extensive delivery program. 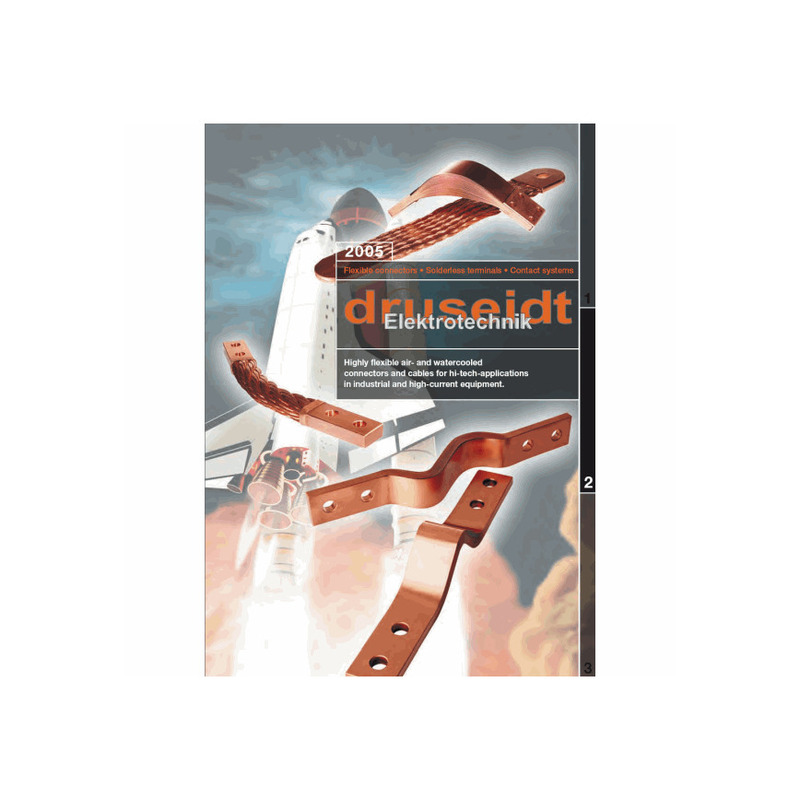 So we are glad to introduce with this catalogue a wide range of flexible components for high current transmission. Our different production processes enable the manufacturing of highly flexible braids, ropes and ready assembled cables as well as welded connectors. All articles are manufactured in coordination with your specified applications. From the smallest ground or earthing tapes up to high current cables with 6000 mm2 conductor cross-section - almost all conceivable applications are covered. Whether in air-cooled or watercooled designs, we can offer you the right components and solutions.